Plot - It a romantic comedy drama where Bobby moves to Hollywood and falls in love with a young woman who loves a married man. Phil Stern a powerful agent who get a call from his sister who asked him for a job to her son Bobby. Phil introduce Bobby to his secretary Veronica nickname Vonnie who’s task is to help Bobby settle into Hollywood. Bobby falls in love with Vonnie but she tells him that she has a boyfriend who is journalist. However Vonnie’s boyfriend is a married man who is also in love with her and promise her to divorce his wife and marry her but very soon he has to make a choice between her two loves. 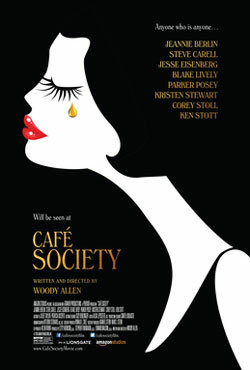 Box Office Earning of "Café Society"